This is the first time I have seent dog toothbrushes available to use. 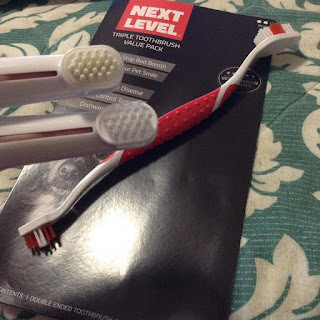 I have always used an older toothbrush our family had traded in for a new one. I have brushed my pets teeth since I was little, I thought it was just natural to take care of their teeth like I did my own. I even have video of my grand daughter brushing our Saint Bernards teeth when we had her. I am really love this set as the toothbrush can reach far back in even a large dogs mouth without having to put my whole hand in their mouth. You have to be really trusting to do this with any dog. I love that this also comes with finger brushes which help you get every nook and cranny. Most of the time I just use plain water but there are toothpastes out their for dogs we just never bought them. It would be interesting to see if our next dog will like it or not. Keeping your dogs teeth healthy is just the next step to a happy life with your pet. 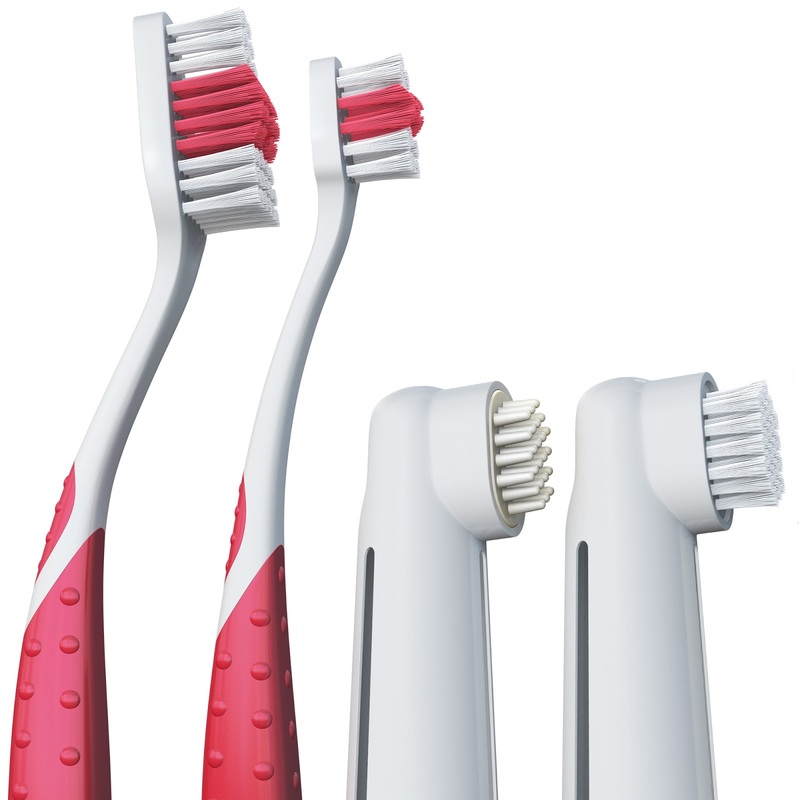 The Next Level Pet Toothbrush set can be found on Amazon. According to the American Veterinary Dental College, it is important to brush you dogs teeth every day. It has a tremendous effect on their comfort and health. But, having a vet brush your dog's teeth can be expensive and often ineffective in the long term. That is because your dog needs to be brushed 2-7 days per week! With our dog toothbrush variety pack, you can now learn to brush your dogs teeth. Disclosure: MarksvilleandMe received one or more of the products mentioned above as part of a promotion with Tomoson and Next Level Pet. Regardless, MarksvilleandMe only recommends products or services we use personally and believe will be good for our readers. Some of the links in the article may be “affiliate links.” This means if you click on the link and purchase the item, I will receive compensation. If you would like MarksvilleandMe to review a product or service please contact us at marksvilleandme@gmail.com.